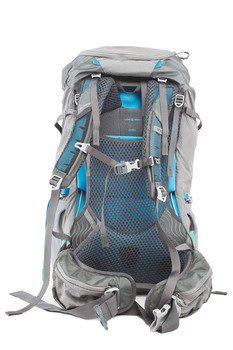 Combining a ventilated, open-air back panel with an adjustable torso and a dynamic 3D comfort cradle that wraps and moves with your body, the FreeFloat suspension on the Jade 53 is a revolution in pack comfort. The FreeFloat bushing technology provides the benefit of a rotating hip belt without the weight and complexity, and works with the 3D comfort cradle hip belt for a hot-spot free carry. True to our commitment to gender-specific design, the Jade features tailored shoulder harnesses as well as a specialized shape for the 3D Comfort Cradle hip belt. 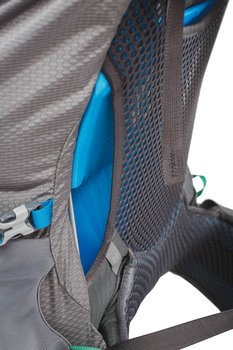 Smart pack features like Sunglass Quick-stow and trail-access side mesh pockets round out a pack that works as well as it is comfortable. 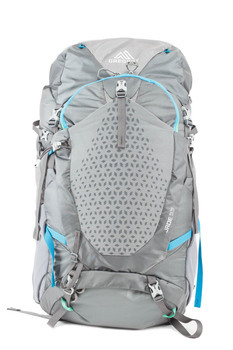 We decided to give this women’s pack an award for its intelligent free-floating carrying system. In particular, the flexible construction at the hips makes it very comfortable to carry. All the female members of the panel were instantly impressed.